For the first time in a long while, this past weekend I found myself without a deadline to complete for Monday; I also wasn’t fresh from a deadline completed on the previous Friday (an event which usually requires a day of do-nothing downtime). Which is why this past weekend turned into a weekend of reading for me. I had a glorious time! I started with The Warrior Heir, by Cinda Williams Chima. I would love to give credit to the blogger who originally added this book to my TBR list, but unfortunately I must have stumbled on this book before I started using Diigo to bookmark TBRs. I know that I discovered this title as a result of another blog, because when I picked it up from the library (I had put in a request for it) I didn’t even recognize the title! It wasn’t until I read the jacket copy that I vaguely remembered reading something about it online. So, whoever you are – thank you very much! I started my reading spree this weekend with The Warrior Heir, and I enjoyed the book immensely. I ended up putting in requests at the library for the two sequels (both of which were checked out) and I’m keeping my fingers crossed that they will come in (1) in the proper order for reading and (2) during a period where I am not flooded with deadlines. 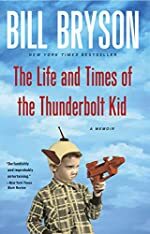 Set initially in the small town of Trinity, Ohio, the novel tells the story of Jack, a bright high school kid who one day forgets to take the medicine he’s taken every day of his life, and discovers he’s not who he’s always thought himself to be. Soon he’s immersed in an astonishing world of magical beings, with a tie-in to the War of the Roses. I really enjoyed the world-building in The Warrior Heir; urban fantasy remains a favorite of mine, but I’ve read enough in the genre to know that building a realistic world that fits snugly within our own modern world can be challenging. Chima pulls it off with aplomb, and offers up a great cast of characters and a gripping storyline as well. 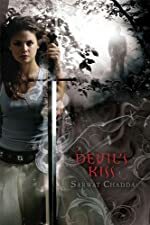 Fresh from finishing The Warrior Heir, I plunged into Devil’s Kiss, by Sarwat Chadda. 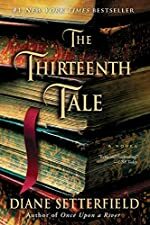 In this darker novel, the order of the Knights Templar still exists, headquartered in Middle Temple in contemporary London, and its latest member is 16-year-old Billi SanGreal, the only female in the order – and Billi’s not at all certain she wants to live the harsh, violent life of a Templar. This was another exciting read, although I did enjoy The Warrior Heir more. At times I found Billi to be just a little too full of angst for my taste – her desire for a normal teenage life is certainly understandable but she sometimes got too whiny and obstinate about it. After all, a small dose of angst goes a long way when there are terrible creatures to be fought and you and your fellow Knights are the only thing standing between humanity and the evil that seeks to plague them. For the most part, though, I enjoyed her character, the storyline and the alternate world of the Knights Templar, filled as it is with mysticism, conflict and evil creatures. Killing him should be easy; he’s only six. What an irresistible opening line! After finishing Devil’s Kiss, I found myself still hungry for urban fantasy, so I decided to go for a reread next. 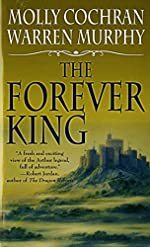 The Forever King, by Molly Cochran and Warren Murphy is an old favorite of mine. The book begins in New York City, where we meet Hal Woczniak, an alcoholic ex-FBI agent, Arthur Blessing, a ten-year-old orphan who lives with his Aunt Emily and a mysterious older gentleman by the name of Mr. Taliesin. Meanwhile, in a psychiatric hospital in England, a serial killer with no name who had entombed his victims in sculptures puts into motion a plan of escape. The action moves quickly from the very start, and the storyline goes back and forth from contemporary to historical times. It is, as the title implies, a retelling of the Arthurian legend, with both a historical and a contemporary twist. At its core is the age-old fight for the Grail, a cup made of an unknown substance with miraculous healing powers. 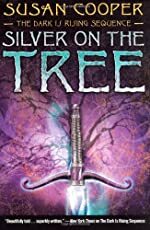 Unfortunately, the book is no longer in print, but if you enjoy novels that involve Arthurian legend and a contemporary setting, this is a book to grab if you ever see a used copy floating around. 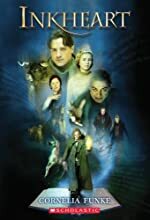 And finally, at long last, I started Inkheart, by Cornelia Funke. This book has been in my TBR pile for a long time now, and it seemed like a natural book to reach for this weekend, since I was immersing myself in urban fantasy. I’m in the middle of the book right now; it’s a good read, although I do find my interest flagging a little. I suspect, though, that things are just about to get exciting again, as Mo, Meggie’s father, has a certain plan up his sleeve and while I do have a good inkling what it involves, it will be interesting to see how it all works out. This weekend of reading has also proved to be very educational too in terms of my writing – but I’ll save those thoughts for another post! 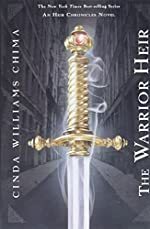 This entry was posted in Books and Reading and tagged Arthurian legend, Cinda Williams Chima, Cornelia Funke, Devil's Kiss, Inkheart, King Arthur, Knights Templar, Molly Cochran, Sarwat Chadda, The Forever King, urban fantasy, Warren Murphy, Warrior Heir on March 8, 2010 by Belle Wong. Kelley Winslow is living her dream. Seventeen years old, she has moved to New York City and started to work with a theatre company. Sure, she’s only an understudy for the Avalon Players, a third-tier repertory company so far off- Broadway it might as well be in Hoboken, but things are looking up—the lead has broken her ankle and Kelley’s about to step into the role of Titania the Faerie Queen in Shakespeare’s A Midsummer Night’s Dream. Faeries are far more real than Kelley thinks, though, and a chance encounter in Central Park with a handsome young man named Sonny Flannery plunges her into an adventure she could never have imagined. Sonny is a Janus Guard, charged by Auberon, the King of Winter, with watching over the gate into the land of Faerie, which lies within Central Park. For Sonny, the pretty, young actress is an enigma. Strong and willful, she sparks against his senses like a firecracker, and he can’t get her out of his mind. As Hallowe’en approaches and the Samhain Gate opens, Sonny and Kelley find themselves drawn to each other—and into a terrible plot that could spell disaster for both New York and Faerie alike. Canadian author Lesley Livingston explodes onto the stage of teen fantasy with a debut novel—the first in a planned trilogy—that puts a fresh new spin on classic faerie lore. Wondrous Strange blends a gripping plot with fully believable characters, fascinating ideas and just the right amount of romance to create a story that is vivid, thrilling and engaging. Readers of Herbie Brennan, Holly Black and Melissa Marr will find a new favourite in Lesley Livingston. Received from: Harper Teen Canada thoughtfully slipped this in with an ARC I had requested from them. 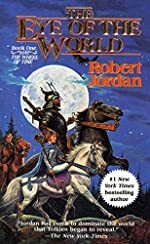 My initial thoughts: This is one of my favorite types of novels: one that combines both a fantasy world with the everyday. It looks very interesting. About the author: Lesley Livingston is a writer and actress living in Toronto. She has a master’s degree in English – specializing in Arthurian literature and Shakespeare – which does not, however, interfere with her love of shoes and shiny things. She is a principal performer and founding member of the Tempest Theatre Group. Wondrous Strange is her first novel. Have you reviewed Wondrous Strange? Let me know, either by contacting me or in the comments below, and I will add your link to this list of reviews! This entry was posted in Incoming! and tagged fantasy, Lesley Livingston, to be read, urban fantasy on June 1, 2009 by Belle. Mystery: And Justice There is None, by Deborah Crombie. 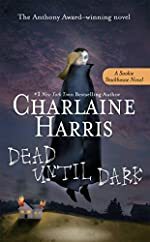 I read a review of this book at Kittling: Books and remembered how much I had enjoyed the first book in the Duncan Kincaid/Gemma James series I had read last summer, A Share in Death. 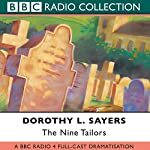 I’ve put the remaining books in the series on my i-want list – I had enjoyed reading A Share in Death very much. Food Writing: The Language of Baklava, by Diana Abu-Jaber, which I discovered while browsing through Beth Fish’s Weekly Discoveries (this is a wonderful feature at Beth’s blog – she posts her discoveries every Sunday). I’ll likely be getting a copy of this to review at Muse in the Kitchen, the food blog my husband and I have (he cooks, I eat – life’s pretty wonderful, isn’t it?). World Lit: Family Planning, by Karen Mahajan. This is one of the reasons I love book blogging so much – Family Planning is normally a title I would have passed by, but I read the review of this book at She Is Too Fond of Books, and realized it was a book I’d probably love. General Fiction: The Secret Fruit of Peter Paddington, by Brian Francis. This is another book I would have missed if it weren’t for the book blogosphere – Joanne from Book Zombie has a great review of this book, and I immediately added it to my i-want list. General Fiction: The End of East, by Jen Sookfong Lee. Joanne from Book Zombie mentions this book in her review of Fruit, and I knew I wanted to read this one too. It’s a generational story about a Chinese family in Vancouver, and since I am a Chinese daughter of immigrants who settled in Vancouver, I knew it was a book that I couldn’t resist adding to my TBR pile. Urban Fantasy: Vampire Academy, by Richelle Mead. I didn’t make a note of where I came across the Vampire Academy series, but it sounds like a whole load of fun – and I’m hoping Bookmooch will come through for me with this one (I find my library isn’t quite as up-to-date as I would like when it comes to urban fantasies). So these are my finds for the week – make sure to check out what other book bloggers discovered this week at Friday Finds. It’s a great resource when you’re looking to add to your TBR pile. Now that I’ve signed up with Bookmooch – my username is msbookish and I’ve added a short list of books so far and two have been “mooched” already (both going to Germany! so I’ll be weighing the pros and cons of international shipping …) – I’ll probably add whichever titles on my i-want list that my library doesn’t have to my Bookmooch wish list. 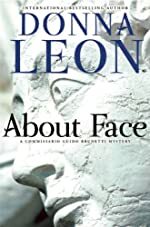 This entry was posted in Books and Reading and tagged food writing, general fiction, i-want, mysteries, urban fantasy on January 23, 2009 by Belle. Mystery/Thriller: The Book of Lies, by Brad Meltzer. I suspect I’m going to have to start reading just a little bit faster to get through my TBR pile. Reviews on each of these will be upcoming as I get through them. This entry was posted in Books and Reading and tagged chick lit, children's books, fantasy, general fiction, graphic novels, holiday books, Mailbox Monday, mysteries, paranormal, reading fun, romance, thrillers, to be read, urban fantasy, YA novels on December 1, 2008 by Belle.